The farm is quiet except for the quad bike working during August which it rarely does – delivering hay to all the sheep as the grass is still suffering from the beautiful weather. Hey Ho (dreadful pun), it could be worse, at least the B and B is still very busy as the world visits and enjoys the West country. 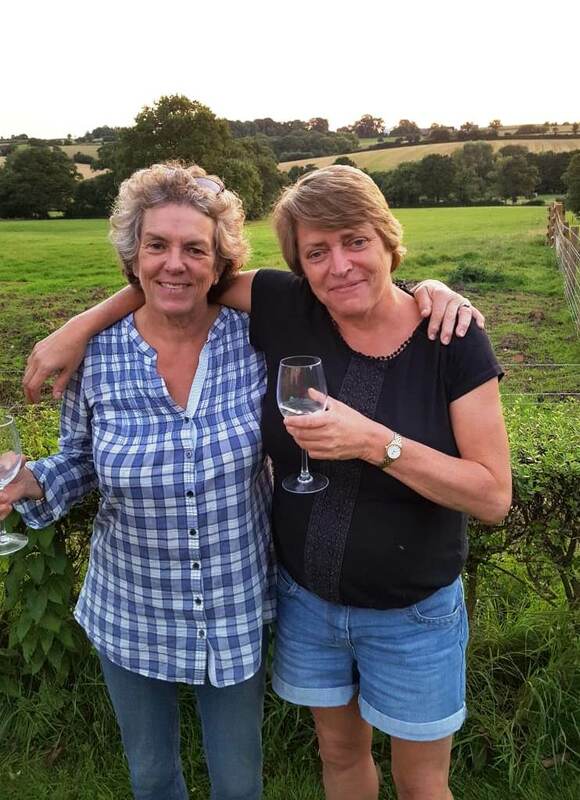 One such person is a very close friend from Surrey who I used to play hockey with, who, after years of no contact has re-emerged in my life – it’s like it was yesterday when we last spoke – a sign of a solid friendship. Well I have always been passionate about sharing our wonderful farm with anyone who wants to come, as it’s crucial to extending and sharing our knowledge of our beautiful countryside with both the young and the elderly. Alison is by no means a country person, so when I invited her to the farm my expectations of her being any help whatsoever were miniscule, but I was hoping to be proved wrong. The train arrived at Feniton and true to form Alison was dressed completely wrong for what I had in mind. Never mind, the banter started immediately and as I listed the jobs we had to do she smiled and said no worries. To cut a long story short, I was proved wrong. We helped my neighbour move cattle down the lane, she rode on the quad bike and fed the sheep, she managed a bonfire, fed the chickens to name a few – still dressed in trendy shorts and a teeshirt. Whilst we laughed, I really enjoyed sharing our way of life with a city slicker – and what’s more it hit Facebook and the comments from her friends were amazing, saying how lucky she was to have had such a great time. It just goes to show how really lucky we are and we shouldn’t forget it, even if it has rained all winter and been so hot this summer.